Race to put out the fire with the Rescue Ladder Unit. 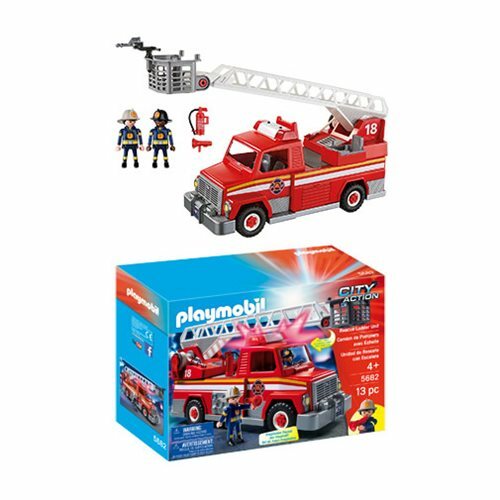 Set includes a fire truck with lights and sounds, as well as two figures, fire hose, fire extinguisher, and other accessories. Recommended for ages four to ten.